Today is the start of something beautiful. I am going to start planting my seeds with the help of my wonderful assistants, Emily, Jason and Lanie. We’ll see how long they help out, but they sound really excited to help! I have decided to do a few experiments while creating my dye garden. 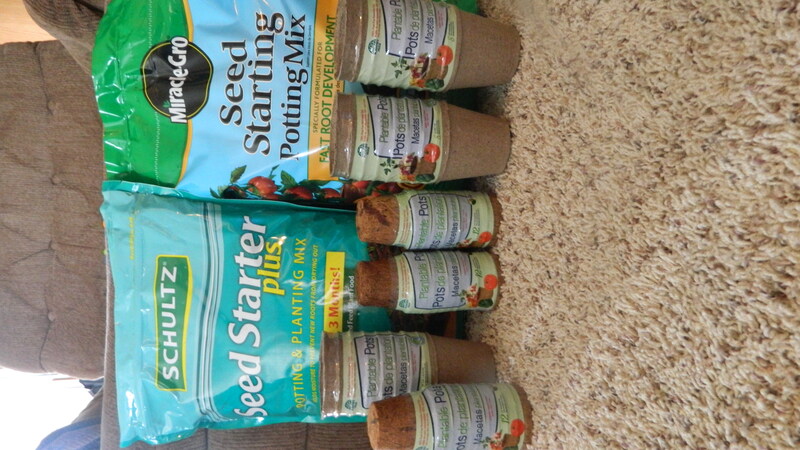 I am using two different seed starting mediums, made by two different companiesMiracleGro and Schultz, both bought at Menards. I am also going to try out peat pots in different sizes as well as more traditional plastic black pots. I think it will be interesting to see if the more expensive MiracleGro helps seeds have a better start then the less expensive Schultz seed starter. It will also be interesting to see how the plants do with peat pots as opposed to plastic pots. How much can I actually control all of the variables that go into this? This isn’t a serious experiment, but more of a casual interpretation of how I used variety to obtain different results. One of my first purchases with my Kickstarter project was seeds from the Woolery. I purchased gipsywort (black), henna (red), dyer’s woodruff, indigo (blue), safflower/false saffron (red to yellow), amaranthe (red), bugloss/alkanet (red), lady’s bedstraw (red). 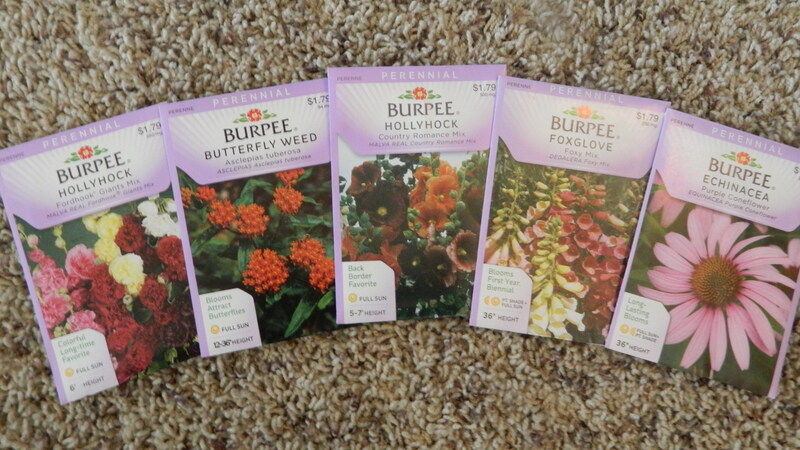 I bought the rest of my seeds from Menards. Many of these I have researched on various sites and in books about natural dyeing, but some will be experiments. We’ll see what colors they make and if they are a dye that will stick. 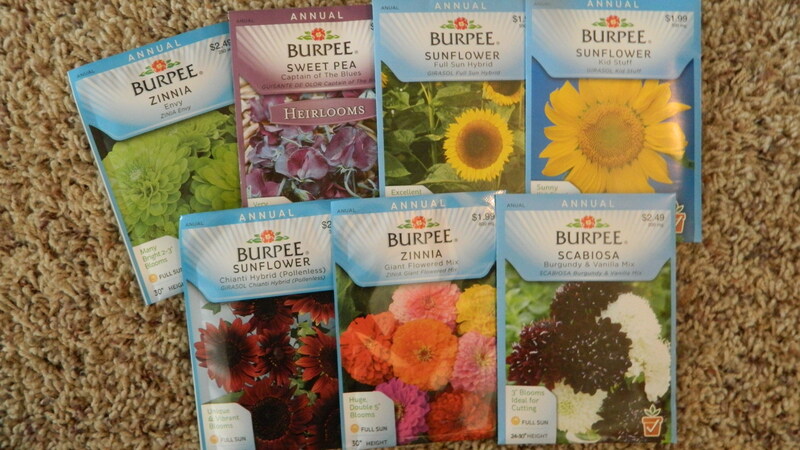 My list of seeds include carrots kaleidoscope mix, true lavender, red giant mustard, spearmint, common sage, rosemary, detroit dark beet, purple coneflower, foxglove, hollyhock, butterfly weed, scabiosa, zinnia, sunflower, sweet pea and envy zinnia. 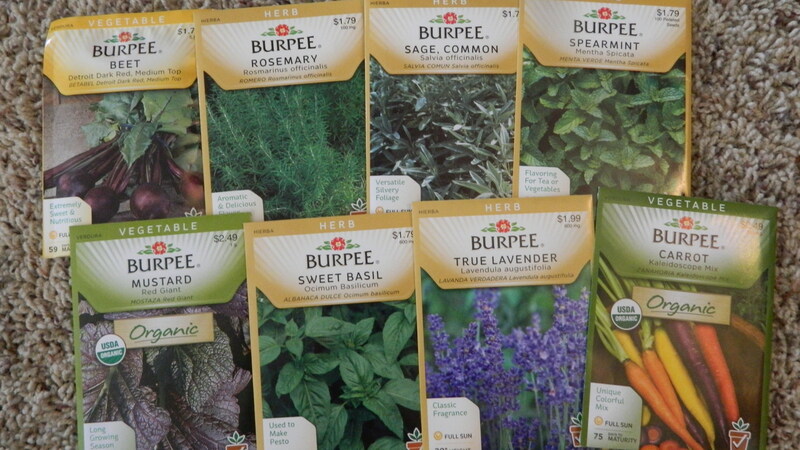 The seeds all come from Burpee, bought from Menards. I will be including an update after my helpers come inside from our gorgeous Minnesota, March 18th weather at 70 degree plus!